Getting their first credit card is a big step for a college student. While credit cards represent a serious responsibility, they are also very useful. Having a credit card teaches budgeting and money management. Credit cards also allow students to establish credit history, which will be necessary when renting an apartment, buying a car, lowering car insurance rates, employment at some companies, and buying a home. Thanks to the Credit CARD Act of 2009, it is also safer for college students to get a credit card. Terms and conditions for credit cards must be transparent, and card issuers cannot raise interest rates on existing balances or allow a student to exceed the limit so that the issuer can impose an overlimit fee. Still, there are some concerns parents should consider before allowing college students to get their own credit cards. Below we’ll look at some of the issues that are involved, so parents and students alike can make an informed decision. How do college students qualify for credit cards? Under the Credit Card Act of 2009, students under 21 must either have proof of a job that earns enough to pay the charges on a credit card or they must have a co-signer who is willing to open a joint credit card account with them. Students also need to have a credit history, which can be difficult for a first-time credit card application. Parents with good credit can co-sign on a credit card. Having a co-signer allows the student to build their own credit history and learn good principles of money management without having to shoulder 100% of the responsibility of holding a credit card. Both parties on a co-signed card can benefit from responsible use of a card as the credit history is reported for both individuals. However, co-signing comes with risks. If the student (or the parent!) cannot manage the account responsibly by making payments on time, it can harm the credit rating for both individuals. The parent will also be responsible for all debts and faces penalties and higher interest rates if the card goes into default. What are some of the downsides to students having credit cards? College students leave school with $3000 or more in credit card debt, often on top of student loan debt that currently averages $35,000 per student. With so much potential debt in their future, it’s important that a student with a credit card understands how to manage their account. It’s tempting to use a credit card as a way to spend beyond their means. Reward points make it easier to justify unnecessary purchases. Many cards, especially student credit cards, require low minimum payments. This encourages smaller payments, thereby accruing interest. Convenience checks and cash advances make accessing cash easy. Credit cards aren’t the same as debit cards—all that money has to be paid back later. How can college students use credit cards wisely? They should pay the balance every month, and not accrue charges beyond their means to repay in a single month. They should have a part-time or full-time job so that they can pay the balance themselves. Start with one card with a low limit until the student demonstrates consistent repayment and sound financial judgement. The student needs to understand their billing statement and all charges, including the APR. This also includes the penalties for late or nonpayment. If they travel for study abroad or vacation, students should also be familiar with the foreign currency transaction fees for purchases made abroad. If they have a rewards card, they should be encouraged to use to card to make regular everyday purchases, so the rewards will work to their advantage. They should not make purchases just to accrue reward points. They need to learn that credit cards are not a means of instant gratification. Meanwhile, Dailyfinance.com reminds us that credit cards aren’t free money, and you need to keep track of your spending. Keep track of your spending using tools such as the ones recommended by Fastweb.com: FinAid’s Student Budget Calculator or the calculator provided by Mint.com. Most major credit card issuers (Discover, Citibank, etc.) have student credit card options, and they often have special rates and incentives for students to sign up. Be careful, however, as some cards may have high interest rates. If a student already has a bank account and maintains a regular balance without overdrafts, their bank may also be a good option for a credit card. Many retailers offer their own credit cards. The downsides include high interest rates and the cards can only be used in their stores. However, that limitation can also make them a good first card, and successful management of a store card can lead to a major credit card later. 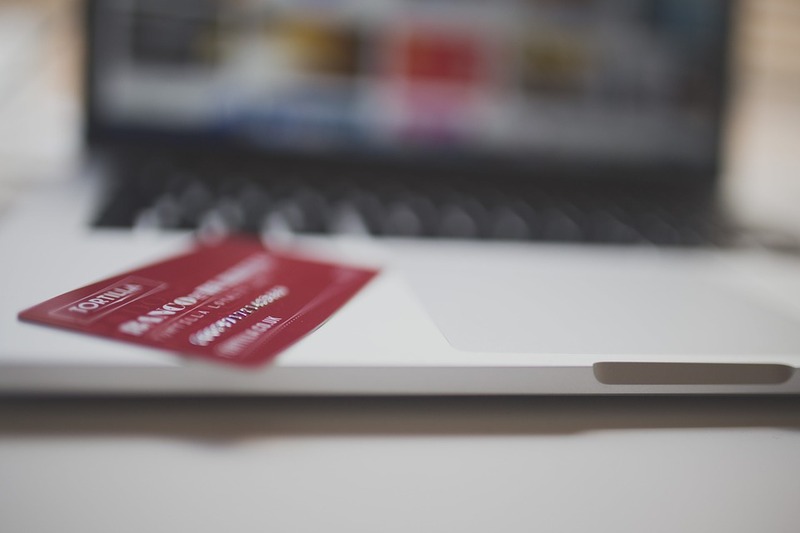 Secured cards are credit cards that are available to individuals with no (or poor) credit history. With these, you must make a deposit to the issuer against the credit limit of the card, and then you use the card as usual. Often if you make all of your payments for a year, the card can be converted into a regular credit card.